The Stryker Rejuvenate and ABG II hip replacement systems used multiple neck and stem components. The ABG II system had eight right stems, eight left stems, and ten modular necks. The Rejuvenate hip had six stems and sixteen necks, and was marketed to younger patients who were promised a better range of motion. Stryker began selling the Rejuvenate hip system in 2009 and the ABG II hip system in 2010. 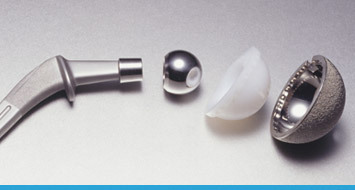 Stryker’s Rejuvenate and ABG II modular-neck hip stem systems are not considered metal-on-metal devices, since they do not have a metal ball that rubs against a metal socket. However, because the Stryker Rejuvenate and ABG II necks are made of chromium and cobalt, and the stems are coated with titanium, they do have a metal-on-metal junction and can release metallic debris into nearby tissue and the blood stream. Patients nationwide have suffered the injuries of metallosis and tissue damage, and have had to undergo often painful and complicated revision surgery to remove and replace faulty Rejuvenate or ABG II hip implants. In lawsuits filed against Stryker, these patients charge that the Rejuvenate and ABG II devices are defective because the modular neck is prone to fretting, degradation, and fracture. Further, the lawsuits allege that Stryker knew or should have known that the Rejuvenate and AGB II hip systems were not safe for the patients, yet continued to market and sell the products. If you or a loved one has suffered an injury due to a Stryker hip replacement system, please contact The D’Onofrio Firm at 215.923.1056, at once, for a free consultation with one of our attorneys.